The NFL Draft last week was as exciting as it normally is. The teams picking at the top hope they found players that will turn their fortunes around for years to come. Drafting is an inexact science, with some teams selecting for need and others selecting the best player available. All the while, there's no guarantee that the player will actually pan out. For every Andrew Luck, there's a JaMarcus Russell. This year, the top five teams selecting were the Tampa Bay Buccaneers, Tennessee Titans, Jacksonville Jaguars, Oakland Raiders and Washington Redskins. There was a lot of trade intrigue and speculation heading into the draft, but the order remained the same on draft night and it appears that all five teams came away with quality selections. Let's take a look at how each of the players is going to fit with their new team. The Bucs were going with a quarterback in this situation no matter what. They struggled at that position more than anyone last year, first with opening starter Josh McCown and eventually Mike Glennon. Now with Winston in the fold, the Bucs and coach Lovie Smith feel like have a franchise quarterback for the next 10 to 15 years. In my opinion, Tampa Bay did a great job with this pick. Most rookie quarterbacks don't have a lot of offensive weapons, but Winston does. He has a former Pro Bowl receiver in Vincent Jackson and up-and-coming star Mike Evans. Winston will have players to throw to and he is in a situation where he can succeed. The Titans, like the Bucs needed a quarterback. 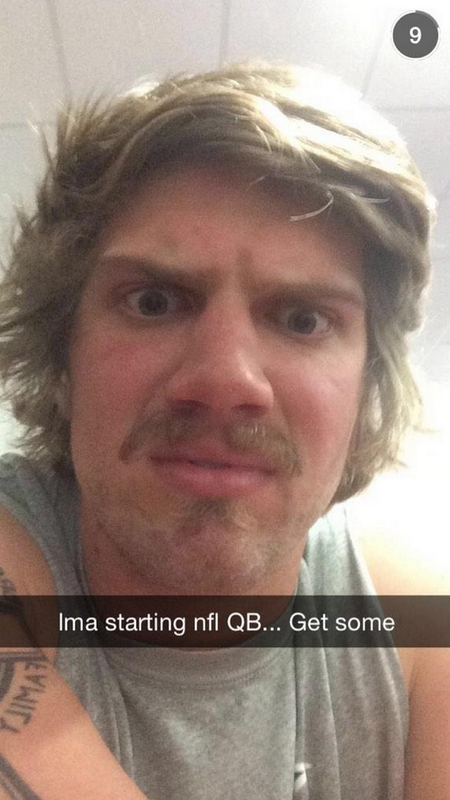 When a team starts now-retired Jake Locker and selfie king Zach Mettenberger, a change needs to be made. Although the Titans were shopping the pick, they made a good choice drafting Mariota. He has tremendous potential, and he has a chance to grow with a great quarterback coach in Ken Whisenhunt. It will take a few years for Mariota to reach his potential, but the draft is all about hope, and Tennessee finally has some at the quarterback position. This was a questionable pick, but the Jags are relying on Fowler's athleticism. Jaguars' coach Gus Bradley loves having a versatile defense, and Fowler provides excellent versatility. I would have picked defensive end Leonard Williams, but this pick gives the Jags more flexibility. The Jaguars were sixth in the NFL in sacks last year, so they have no problem getting to the quarterback, but Fowler gives the Jags' defense a chance to get to the next level. The tackle out of Iowa is going to be a good player. I question Washington's pick only because Leonard Williams was still available, but this is a safe pick, and one I'm fine with. Scherff played left tackle in college, but seems more suited at the guard position in the NFL. The left side of the Redskins line looks pretty formidable after this pick. Washington was one of the softest teams in the league last year, allowing anybody to get to Robert Griffin III or Kirk Cousins. With a nasty offensive lineman in the mix, the Redskins made a good pick here.